Ubiquitous Sensing requires the sensing mechanism be deployed in Tenary-Cyberspace (TC) which includes social/Internet and physical world machines interconnected by wired/wireless networks. This talk focuses on the challenges of realizing the Ubiquitous Collaborative Sensing on TC. Prof. Weijia Jia is currently a Zhiyuan Chair Professor at the Department of Computer Science & Engineering, Shanghai Jiaotong University, China. He is leading several large R&D projects on next-generation Internet of Things, environmental sensing, smart cities etc. 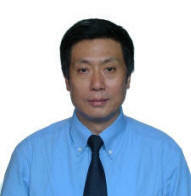 He received BSc and MSc from Center South University , China in 1982 and 1984 and Master of Applied Sci. and PhD from Polytechnic Faculty of Mons, Belgium in 1992 and 1993 respectively, all in Computer Science. He joined German National Research Center for Information Science (GMD) in Bonn (St. Augustine) from 1993 to 1995 as a research fellow. From 1995 to 2013, he has worked in City U-HK as a full professor. His research interests include next generation of IoT, smart cities, wireless communication, protocols and heterogeneous networks; distributed systems, multicast and anycast QoS routing protocols. In these fields, he has a number of publications in the prestige international journals and conference proceedings. In 2005 and 2008, he has been awarded total HK$22 millions from the Innovation & Technology Fund of the HKSAR Government for two projects with intentions of design and implementation of cyber cross-platform secure communications to integrate the Internet with 3G, WiFi, WiMAX, ad-hoc network, Sensor and networks for real-time multimedia communications and mobile video surveillance. He is the Senior Member of IEEE and the Member of ACM. A surge of innovation in technologies for 5G mobile communication is on the horizon, but its specification is still just being discussed. The only know is that 5G must introduce many novel hardware/software techniques, service types and network interfaces due to the requirement. There is very frequent interaction between these components that is like an ecosystem. An ecosystem has a very diverse species so that there are complex interaction happened. However, it can always maintain a balanced state because an ecosystem is a Self-Organizing Network (SON). 5G should consider to concept of SON so that the interaction of 5G functions can be well managed. This is the first step towards ecosystem by using biologically inspired method. This speech will introduce what is the biologically inspired method and how to use it for the real environment. Finally, we will present a novel network platform for 5G mobile communication system, viz Software Defined Wireless Bacteria-Inspired Network (SDWBIN). The SDWBIN platform integrates the concepts of molecular and bacterial communication into traditional mobile communications so that the features of molecule and bacteria (i.e., perception, infection and diffusion) could be applied to end devices, such as vehicle-to-vehicle, machine-to-machine and device-to-device. In order to realize the design of SDWBIN platform, we exploit the framework of Software Defined Wireless Network to implement the core network in SDWBIN. We expect that the proposed SDWBIN platform can tackle with the communication from an enormous number of devices in 5G systems. Dr. Han-Chieh Chao is a joint appointed Chair Professor of the Department of Computer Science & Information Engineering, Electronic Engineering of National Ilan University, I-Lan, Taiwan (NIU) and Fujian University of Technology. He is serving as the President since 2016 for NDHU as well. He was the Director of the Computer Center for Ministry of Education Taiwan from September 2008 to July 2010. His research interests include High Speed Networks, Wireless Networks, IPv6 based Networks, Digital Creative Arts, e-Government and Digital Divide. He received his MS and Ph.D. degrees in Electrical Engineering from Purdue University in 1989 and 1993 respectively. He has authored or co-authored 4 books and has published about 400 refereed professional research papers. He has completed more than 150 MSEE thesis students and 5 PhD students. Dr. Chao has been invited frequently to give talks at national and international conferences and research organizations. 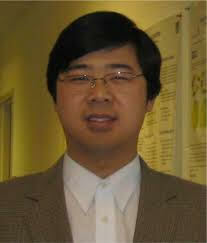 Dr. Chao is the Editor-in-Chief for IET Networks, Journal of Internet Technology. He is the founding Edtor-in-Chief for International Journal of Internet Protocol Technology, and International Journal of Ad Hoc and Ubiquitous Computing. He is also the associate editor for IEEE Network Magazine and IEEE Wireless Communications Magazine. Dr. Chao has served as the guest editors for Mobile Networking and Applications (ACM MONET), IEEE JSAC, IEEE Communications Magazine, IEEE Systems Journal, Computer Communications, IEE Proceedings Communications, the Computer Journal, Telecommunication Systems, Wireless Personal Communications, and Wireless Communications & Mobile Computing. 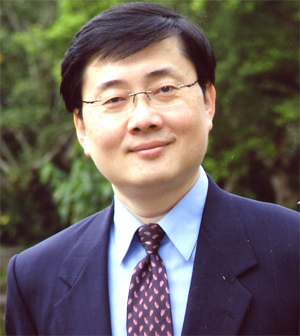 Dr. Chao is an IEEE senior member and a Fellow of IET (IEE). Regarding the imperfection and poor collaborative interaction ability in existing substation simulation training system, this paper proposes a virtual reality simulation training system model for multiuser cooperation in substation maintenance which realizes multiuser collaborative virtual maintenance training of large-scale complex scenes of the substation and solves the competition of the electrical equipment resources. Through analysis of hybrid heterogeneous hierarchical process modeling technology and Petri Nets sharing sub-network synthesis technology, the key technologies such as hierarchical maintenance process modeling, distributed cooperative concurrency control and asynchronous message delay strategy was put forward. This model technique has been practical applied in virtual substation training system, and the effective application results have verified the rationality and effectiveness of the model. Neal N. Xiong is faculty in the Department of Business and Computer Science at Southwestern Oklahoma State University. He received his PhD degrees from Wuhan University (about software engineering), and the Japan Advanced Institute of Science and Technology (about dependable networks), respectively. Before coming to SWOSU, he worked at Colorado Technical University, Wentworth Institute of Technology, and Georgia State University for many years. His research interests include Cloud Computing, Business Networks, Security and Dependability, Parallel and Distributed Computing, and Optimization Theory.Dr. Xiong has published over 200 international journal papers. He served as an Editor-in-Chief, Associate editor or Editor member for over 10 international journals, including as Associate Editor for IEEE Transactions on Systems, Man & Cybernetics: Systems, Associate Editor for Information Sciences, Editor-in-Chief for the Journal of Internet Technology, and Editor-in-Chief for the Journal of Parallel & Cloud Computing. Dr. Xiong is the Chair of the "Trusted Cloud Computing" Task Force, IEEE Computational Intelligence Society, and the Industry System Applications Technical Committee, He is a Senior member of the IEEE Computer Society.